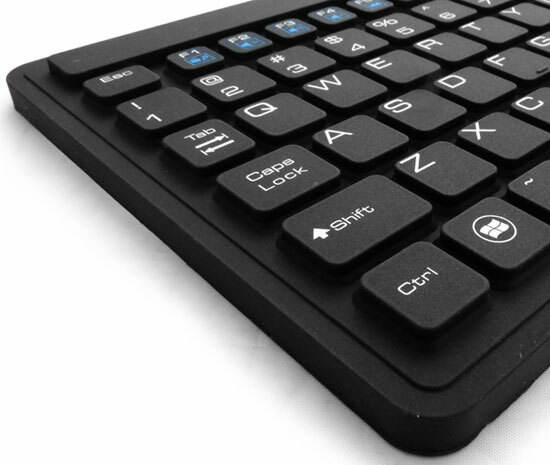 Our Washable Silicone Touchpad keyboard is waterproof and contaminate-proof and is designed for industrial applications where water, fluids, dust and dirt can damage a regular keyboard. This keyboard is sealed with 100% silicone and can be dipped in water and cleaned with soap or other cleaners (non-petroleum based). This washable keyboard is an ideal solution for use in Food Service, Industrial, Manufacturing, Marine, Military, and Medical Applications.